Where To Find Help And Training For Starting A Business? Few people in life manage to start a new business without any help or training from others. In fact, it’s often considered strange that some people wish to go it alone, as it were! Believe it or not, there is a plethora of support out there for new entrepreneurs; it’s just a case of finding out what’s available. While there are some options open to people living in certain areas, the following examples apply to new startups wherever they are in the country. It turns out that our government offers plenty of practical and actionable help to people new to entrepreneurism! For a start, there is the sba.gov website, which is the home of the U.S. Small Business Administration. Visitors to the SBA website can find an array of free online courses that cover a multitude of subjects. Examples include the basics of starting a business through to managing and financing it. Also, the SBA also provide some local business workshops at a variety of locations across the country. While many are free, there are some workshops where you may need to pay a small, nominal fee. The SBA also has a partnership with a non-profit organization called SCORE that provides training and mentoring services. Another really useful federal government website is BusinessUSA. The site serves as a “portal” to help startups find the resources they need without having to navigate tens of other federal sites. It’s a one-stop platform that allows people to discover training, support, and events that are relevant to them and their location. The website, located at business.usa.gov, also features stories to help inspire new entrepreneurs. For example, one can read articles on how people turned ideas into profitable businesses, including interviews with the entrepreneurs behind the brands. The website also provides help for veterans that want to start their own firm. Plus, there is also a valuable section on government contracting. That means you can find out how your enterprise could sell its products and services to local or federal government departments! Some of the country’s most successful entrepreneurs are also happy to share their tips and knowledge on starting a business. Most of the training webinars are free, although some require you to subscribe (i.e. pay) for further training. Still, even if you are only looking at free training resources, the content available without a subscription is extremely useful to follow and digest. Many successful entrepreneurs also offer one-to-one mentoring and classroom-based workshops. College might be the last place you’d think about learning to start a business. But, they can often be excellent sources of help! Most of the courses offered by colleges are available through e-learning platforms, but some are available to those that wish to attend physical classes. Let’s face it; there aren’t many business ideas in life where you don’t have to invest any money. Depending on the type of enterprise, it can sometimes be a challenge to raise all the money you need to start trading. Fortunately, it is possible to get some financial help and not need to pay it back! It’s important to point out that government grants aren’t available solely to help a business start trading. However, it’s possible to get one if your startup is involved with medical and scientific research or even conservation. You could also apply for a grant through the Small Business Innovation Research (SBIR) Program. If you want to launch a new business and develop an innovative prototype, you could get the funding you need for research and development! With the grant money, you can then put the cash towards getting help from leading industry experts to create a marketable product. The business world is awash with networking events. That’s because entrepreneurs and successful industry professionals love to socialize! If you’ve never been to a networking event, prepare to be amazed! Networking events are excellent ways to introduce yourself and your new brand to potential clients and suppliers. You can also use such events to learn more about your industry and to seek out additional sources of help and support. For instance, you may find a company willing to provide you help in one area of your business in return for helping them in a field where you have particular expertise. Another way that networking events can be useful is that they often feature prominent industry guest speakers. Attending networking events allows you to learn more about your niche and determine who could help you further develop your startup. Although many seminars are not free, they offer plenty of value for money. Industry or niche market seminars allow you to develop your skills. If you lack knowledge in a certain field, the skills you learn can help you to get a step closer to launching your new business. 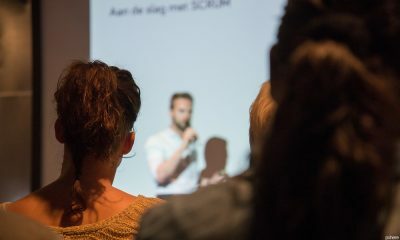 Seminars often contain workshops that cover a broad range of topics; some of them are general, while others may focus on one particular subject. It’s highly likely that you will find an industry seminar near to your location. You can also use seminars as a way to network with other established and future business leaders like yourself. While the Internet contains a wealth of information, there’s still plenty of help and support available in the offline world too. One example that might seem surprising is a visit to your local library! Libraries contain a vast selection of books covering various aspects of business and entrepreneurism. Because you often have a long time to borrow them, you won’t need to spend lots of money buying brand new copies that you may only read once. Another use for libraries is research. They contain a lot of resources to help you learn more about your local area, such as census information. Libraries offer more than books; they offer a wealth of opportunities for savvy entrepreneurs! How To Check Business Name Availability? You should not underestimate the challenge of starting your own company. It is always going to be a massive endeavor to take on. You need to make sure that you prepare for the uphill climb because there is certainly a steep road ahead. The idea that most businesses fail within the first five years has been hotly debated however starting and running a business for years on end is no small endeavour. The key cause is that new business owners do not take the right steps before opening their company. There are a number of important issues to consider before you even think about opening your doors. Your first step has to be thinking about your target market. You need to consider who is going to be interested in buying from your business and who your products or services appeal to. No product is universal and finding the right target market is going to increase your chances of making large profits. Your target market is going to impact everything about your business model from how you promote your company to where you choose to promote it. For instance, if you are using sponsored content it will shape which blogs you select for the articles advertising your business. Next consider the name and logo for your business. The name and logo needs to be memorable and dynamic. It should stand out amongst the sea of competition that you’ll face online. You may want to pay more attention to the logo rather than the name. Research shows that consumers are more likely to remember images rather than words. Consider hiring a professional to create your logo too. That way, you can avoid it looking as though it came out of a cookie cutter. Once you have decided on a name and logo, trademarking is vital. You must make sure other businesses aren’t able to piggyback off your potential success. Also have a look at Branding Considerations For Your New Business. Where are you going to display the name and logo of your business? A key area of your campaign would be your website. Again, you should hire a professional to design and website and make sure you host it yourself. By hosting it, you can increase your potential ranking online, thus attracting more traffic to your site. You need to think about what your site is going to be used for. It could be a place purely for marketing purposes, or you may want to set it up for purchases. If the latter is true, you must invest in secure sales software to protect customers data. No company will survive on the modern market without a social media presence. You need to set up profiles on everything from Facebook to Instagram and Snapchat. This will give you a wide range of options when choosing how to interact with potential customers online. More importantly, it will enable users online to easily find your business, updates, and information. These profiles can should have a specific tone and a consistent. You can also republish any content that you produce across all your profiles. This will ensure that you get the largest reach online. Starting a business is always going to be expensive, and it will damage your credit score at the beginning. You will need to borrow a lot of money for everything from inventory to employees. Increasing your credit score before you open your company will ensure you can borrow money with low-interest rates making it more manageable. At the start, most business owners pay for expenses out of their own savings and quickly run out of money. At this point, you will have no choice but to borrow. It is crucial that lenders trust you to pay the money back or interest rates will quickly push your company into unmanageable levels of debt. There are lots of business models to choose from when you decide how to run your company. For instance, it is possible to set up a company and run it from home, online or tap into an established brand via a franchise model. You might also consider using freelancers or outsourcing agents rather than hiring permanent employees on contracts. It all depends on the type of business that you want to run and the cost cutting schemes that you want to use. Another good post to read is What Is The Best Legal Structure For My Business?. A legal advisor is always going to be a beneficial hire for your business. It should be one of the first individuals you think about recruiting. They can help you with everything from paying the right amount in tax to forming contracts with business owners for suppliers and stock. They will ensure that you are up to date with important regulations and laws that will affect how you run your business. Also read Why Its Important To Engage A Lawyer ASAP When Starting A Business. No business owner is an island, and it’s important that you have people in the industry who you can contact for help and support. A mentor to help guide you and provide skilled opinion is also highly recommended. You also want to make sure that you have clients set up, interested in your service before you open your doors. Early guaranteed customers will be crucial for keeping your company profitable in the first few months. You might already have contacts from a previous position in a similar business. If you don’t, think about attending tradeshows and exhibitions. This will give you a natural way to rub shoulders with investors, suppliers, and buyers. You won’t be an expert in all the areas of running a business. But you can hire someone who is. There are consultants for every sector of a company who can aid you in marketing, accounting or employee management. With someone by your side who has experience in these areas, you can avoid some of the common early pitfalls new owners always fall in. Finally, make sure you have an escape plan ready if things don’t go your way. It is possible that your business doesn’t see the level of demand it needs to stay profitable. If that happens, you should have a plan to quickly sell your inventory and make any money you spent back as quickly as possible. This will ensure that a failed business plan doesn’t throw you into a debt spiral. You should hope for the best outcome when starting a business and yet plan for the worst. How Do I Price My Products/Services? How Do I Manage Business Cashflow? How Much Money Will I Need For My First Year Of Business? How Do I Check My Businesses Compliance Requirements? What Do I Need To Prepare Before Hiring Staff? What Insurance Do I Need For My New Business? Is A Franchise Business Right For Me? With startups all the rage these days, it’s easy for people to forget about another way of starting a business – franchising. Franchises are still a great way for people to get ahead in business, and there are options in almost every single industry. But, while franchising offers plenty of potential for success, the business model isn’t for everyone. In this guide, we’re going to take you through a few of the pros and cons of becoming a franchisee, and, hopefully, help you find out whether the pathway is a suitable one for your needs. First of all, let’s take a look at some of the advantages of becoming a franchisee. When you start a business yourself, there is a lot of work to do to establish your brand name. With franchises, however, it’s a little different. You are, in essence, buying into an already recognized brand name, and that means there are plenty of benefits. There is a lot of security in place right from the start, and you could be profiting from trading under a name known nationally – or even globally. In short, it almost guarantees customers as you already have their trust for quality and reputation. It can take a long time for startups to work out how to do things the right way – years in some cases. However, when you assume a franchise, everything is already there for you to take advantage of. The way of working is proven to be a success already, and you are enjoying a tried and tested formula. All the hard work of refining the business model is already done, leaving you to reap the rewards. Running a franchise is, to all intents and purposes, precisely the same as running an independent business. You will be responsible for everything, have the opportunity to explore growth opportunities, and, ultimately, will need to meet the same expectations as you would impose on yourself anyway. When you buy into a franchise, the franchisor wants you to succeed. So, you get everything you need to kick things off in the right possible way, right from the very start. First of all, you have excellent training to ensure you have the skills necessary to become a success. Your employees get that training, too, making sure that everyone knows what to do before you open your doors. When you start a business yourself, training employees comes at a vast expense – which you just don’t need to incur with a franchise. You will also get the advantage of equipment, software, IT systems and a lot more besides when you get involved with a franchise. Everything you need to succeed is given to you and is refined to the exact standards to ensure you achieve your goals. There is support available when you need help, too, which you just don’t have when starting a business. And, finally, the scale of orders that franchises place with suppliers means that you can take advantage of lower costs of raw materials. Of course, franchising isn’t always without its problems. And to work out whether the model is the right one for you, it’s important to know the disadvantages, too. Let’s take a look at the other side of the coin of running a franchise business. First of all, it’s vital to understand that buying into an already successful brand name is not cheap – some franchises cost millions for the license. Some franchises require less, of course – five-figure sums for buying in are not uncommon. 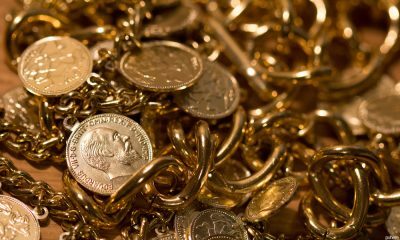 But you should expect to part with a six-figure sum in many cases, and you will also have to pay ‘royalty’ payments of anything between 4 and 7 percent. While starting a business of any kind requires 100 percent commitment to ensure success, it’s even more important for franchisees. When you consider the vast sums of money you have to spend to trade under a strong name, it can take years to pay that back. It means that commitment to your business is nothing short of essential, and you also have to bear in mind that signs of success could take a couple of years to start showing. As we mentioned above, your franchisor will give you plenty of training opportunities to develop your skills. But you shouldn’t assume that this will be enough experience to run a well-drilled and productive team. If you have never managed people before, it can be a difficult prospect, due to the type of employees you have to take on. As a rule – although this isn’t always the case – franchises pay low wages, which, in turn, means a low quality of staff. Employee turnover, therefore, tends to be high in many franchises, and enthusiasm and productivity are often significant issues you can’t afford to ignore. When you work under a franchise name, there is little room for creativity with regards to making choices for your business. The franchise rules will run through everything you do, from the decor of your store or offices to the way everyone works. And if you want to make changes, it can be hard to persuade the franchisor to let it happen. Bear in mind that many franchisees have made changes to the way they run their business, and are, more often than not, punished with a contract termination. Not all locations in the country are suitable for opening a franchise – even when that franchise isn’t represented in the local area. For example, some parts of major towns and cities are fiercely independent and don’t like the prospect of a massive global chain opening up on their doorstep. It’s vital to explore the market potential of your franchise of choice before making the wrong decision – which could result in an incredibly expensive mistake. As you can see, running a franchise business is not for everyone. The big question is – is it a good fit for you? How To Find A Business Mentor? For many people, it can be difficult to find that one person who can help them move forward in their careers or business. Finding a mentor can be an intimidating process, of course, and it’s also hard to know where to look. However, finding the ideal advisor – either for your business idea or career – might be a lot easier than you first thought. In this guide, we’re going to explain a few things about mentors and, more importantly, how you can find and approach them to get the solid business advice you crave. Let’s get started right away. What makes a great mentor? First of all, what can a business mentor teach you? The simple fact is that they bring a lot of experience to the table, and you will be able to bounce a lot of ideas around with them. They will have a great belief in you and your idea. They will be able to focus your mind on what’s important and advise you on strategy, networking, and establishing your vision. However, before you establish a relationship with a business mentor, it’s important to understand what you want, which we are going to go into right now. Why do you need a mentor? Looking for a guide is going to be a lot more difficult if you are unsure of why you need one. The first step to doing so is to establish some key business goals – what are you trying to achieve in business, and what are you looking for to help you? Do you need a good listener to act as a sounding board, for example, or are there specific business tasks that you need help with – marketing, or networking, for instance? Also, bear in mind that it’s possible to have more than one mentor if you need it. Make sure that you have a simple one-liner memorised that explains who you are and what you do. It’s also worth considering brushing up your small talk skills. You will need to appear enthusiastic, inquisitive and incredibly keen to learn. You also need to leave your ego at the door – no one will consider helping you if you seem unwilling to listen properly. If you are looking for a mentor, you need to establish a connection. It could be online or on social media, or it could be in person. But one of the best things you can do to start looking for a business mentor is ask your wider family and friends. It works on two levels. First of all, if you have a family member or friend who already owns a fruitful and long-running business they could be an invaluable source of information. Sure, different industries require different skills, but ultimately all businesses need one important thing: getting results. And the theories and methods of getting those results don’t change much between industries at all. The second way family and friends can help is that the six degrees of separation theory come into play. They might know someone who knows someone else – and before you know it, you could be going out for a dinner meeting with Bill Gates. Not everyone has family and friends with a fantastic black book of business contacts. And if this is the case for you, it’s important to get yourself out there. Try attending local business events and getting to know local business leaders – it could prove invaluable. Trade shows are another great opportunity to meet people from all walks of life, and as long as you follow up with your new contacts after the event, you have a chance of striking gold. One thing to bear in mind, however, is that you don’t want to plump for the first person that shows an interest. Finding a good and long-lasting mentor won’t happen overnight, and it requires a lot of meetings and relationship development to know if you both fit each other. If you are a local business owner, don’t be afraid to approach others in your industry who do business elsewhere. As long as you aren’t treading on anyone’s toes, many successful owners will be happy to lend you an ear. And they might even be able to recommend someone who would suit your needs. However, bearing in mind that the Internet is making marketplaces smaller than ever, be careful about who you choose to contact – some people might see you as a threat if you intend to have a significant online presence that serves a national market. Don’t be ashamed of paying for a business advisor or consultant. Ultimately, this is your easiest option (if you have the budget) and it’s a far quicker method of tapping into expertise than developing a long-term relationship. As long as you research each potential consultant and are sure they can bring you value, paying for mentorship can work. Whether you are paying for it or not, it takes time to build up a healthy relationship with a mentor. Once you have decided you are a good fit for each other, you will need to take some time to find out how the other works, including identifying each other’s strengths and weaknesses. You will also need to agree on a workflow – and, of course, any potential payment terms. Make sure that you draw up a schedule that outlines how often you will meet and determines some short-term and long-term goals. With any luck, your relationship will blossom and result in success – for both of you. It might be the case that you have developed a friendship, but ultimately you should be in a position where you can be a mentor to someone else, rather than the mentoree. But what if you haven’t’ achieved your goals? And what if the relationship hasn’t worked out as well as you had hoped? It’s best to reduce contact over time, and always be polite and respectful. Thank your mentor for the things they have helped you with – there will always be something you have learned. And if you do decide to find another mentor, make sure that you don’t leave your previous contact feeling aggrieved – you never know when it could come back to bite you.